Grandchildren complete life´s circle! Oh how so many people would agree with a statement like that, so if you are one of those; we have the perfect piece of customisable home decor for you! 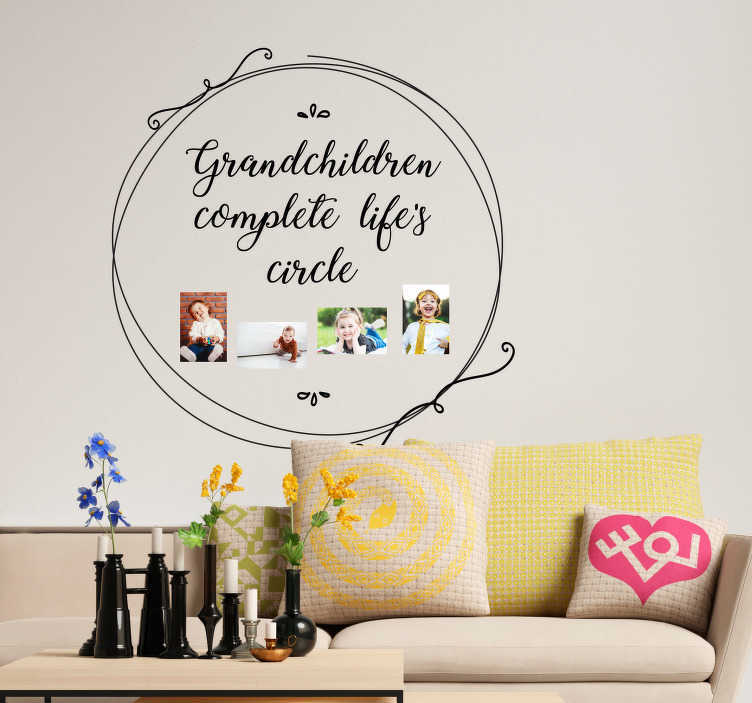 Choose your own photographs to enter the middle of the circle to reflect the family members who mean the most to you to complete life´s circle! This original home sticker is perfect if you are a grandparent looking to furnish your home in a fun and unique, yet still emotionally touching, manner!